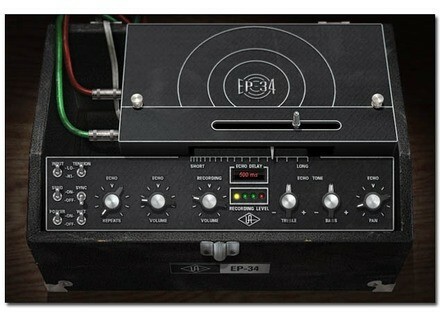 Universal Audio announced the release of the P-34 Tape Echo plug-in for the UAD-2. 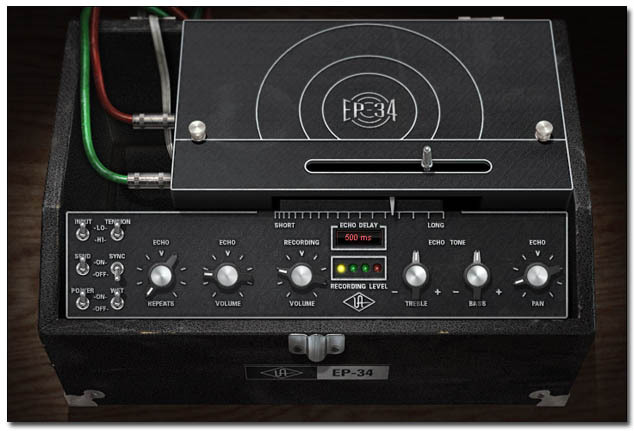 Universal Audio's EP-34 Tape Echo plug-in is designed to give guitar players and mix engineers "the rich, warm tape delay effects of vintage Echoplex units," now on the UAD-2 Powered Plug-Ins platform for Mac and PC. Unlike other Echoplex emulations, the EP-34 is described as "the first plug-in that targets specific behaviors of both the EP-3 and EP-4 Echoplexes." Available for purchase via UA’s Online Store for $199. The EP-34 Tape Echo plug-in is available as part of the new UAD Software v5.7.0 release. In addition to the EP-34 Tape Echo, v5.7.0 includes the now officially licensed dbx 160 Compressor/Limiter plug-in, as well as additional performance enhancements for all UAD-2 users on the Windows platform. UAD Software v5.7.0 is available as a free download for Mac and PC users worldwide. Cinematique Instruments Bowed Guitars As the name suggests, Bowed Guitars is a collection of acoustic guitar and acoustic bass instruments played exclusively with a bow. ESI KeyControl 25 XT ESI released a new compact, aluminium cased keyboard, shipped together with the full version of Cubase LE 5 from Steinberg and Toontrack's EZdrummer Lite. DangerLoops Swizz Beatz "The Swizzy Kit" was created by the DangerLoops sound engineers and was modeled after all of the current and past drum sounds used by Swizz Beatz The Monsta.